For Cisco, 10GBASE-SR Module supports a link length of 26m on standard Fiber Distributed Data Interface (FDDI)-grade multimode fiber (MMF). Using 2000MHz*km MMF (OM3), up to 300m link lengths are possible. Using 4700MHz*km MMF (OM4), up to 400m link lengths are possible. 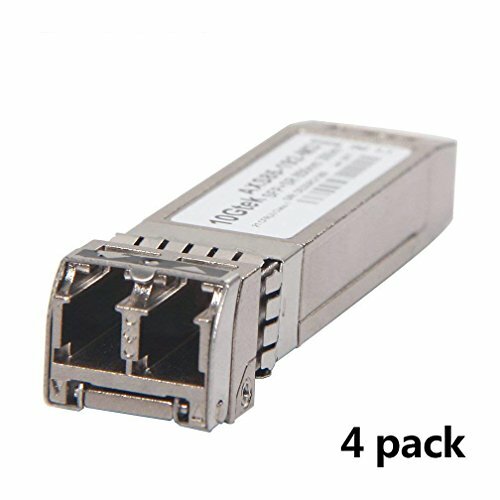 10GBASE-SR SFP+ transceiver module for MMF, 850-nm wavelength, LC duplex connector. If you have any questions about this product by 10Gtek, contact us by completing and submitting the form below. If you are looking for a specif part number, please include it with your message.